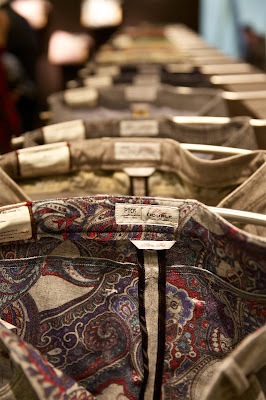 The greatest pleasure at Pitti, of course, is discovering new things. But there are fewer than you might think. The majority of what’s on show is ready-to-wear suits, shirts and jackets, and if you have those made bespoke then they are relegated to inspiration in cloth, or perhaps ensemble. Instead, you find yourself concentrating on accessories, and outerwear. Schneiders, for example, is an Austrian outerwear company that sells largely in Austria, Germany and Italy. The cloak shown above was exquisite – made in a heavy flannel, with deer-antler buttons and beautifully cut slits for the hands, backed on the inside with almond-coloured suede. Sealup was another strong outerwear brand, based in Italy and making a great range of coats from the fur-lined and luxurious to simple, laser-cut mackintoshes. Sealup have been around for a long time, but there are so few shops in London selling this kind of brand (other than Trunk), that we never see them. The UK may be great for tailoring and its own menswear traditions, but for foreign brands the citizens of Berlin or Vienna might actually be better off. And a final note on trousers. There is such a fantastic range here, from colours of flannel that you would never find in a tailoring bunch to chinos in washes that soften but don’t distort. All we see is Incotex, and great as they are, it would be good to have a little more choice. I can’t endorse the paisley above, but it is on a double-faced flannel, which in itself is impressive, and you get an idea of the range. You can follow the discussion on Outerwear at Pitti Uomo 2013 by entering your email address in the box below. You will then receive an email every time a new comment is added. These will also contain a link to a page where you can stop the alerts, and remove all of your related data from the site. 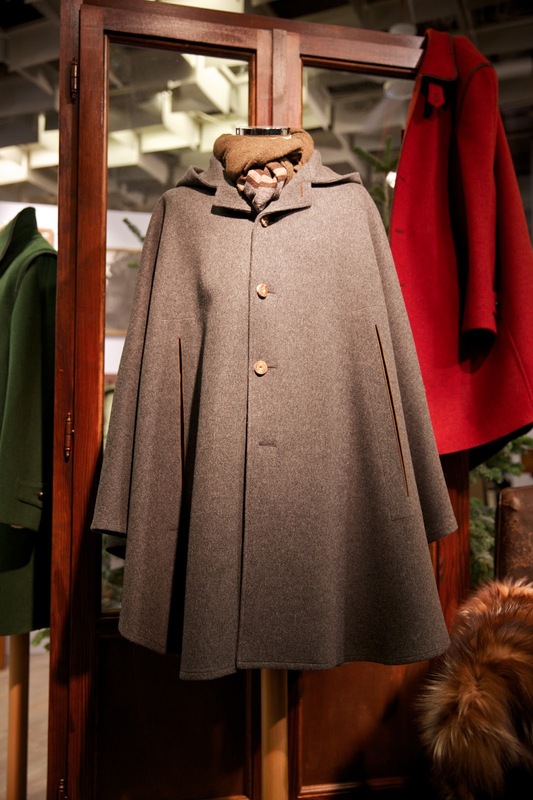 The Schneiders coat shown above might also have been made out of loden, for which they are famous. It looks similar to flannel but is often thicker since the wool is not woven but pressed. Cloaks can be worn with great style.One has only to think of David Niven in the original Pink Panther or George Lazenby in OHMSS. Keep the ‘unexpected’ coming Simon. This is our chance to see things that us ‘office workers’ never get to see. Love the cape but – not sure if it would go down in London unless you are of course, able to carry it off as a dandy! Is anyone in London likely to sell anything like this cloak? I’m considering having one made.